Photographic canvas prints service offered by Superchrome is an exciting option when you want to transform your old photographs into the choicest canvas prints, thereby increasing their life. Any old photograph in black and white or color can now be printed on to a cotton canvas at high or low resolutions. With the advent of digital technology, many clients have been motivated to digitize all old photographs to life size prints and thereby relive the old world nostalgia. The technique of photographic canvas printing uses digital technology where the original photograph is first scanned. This can be directly used for printing on to a canvas. Prints are also taken directly from a digital photograph. Thus all the data used for printing comes from the computer and not from any intermediary source like a film or slide. This method of photographic canvas printing offered by Superchrome is very cost effective. 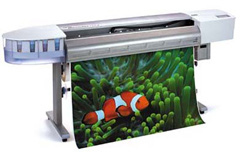 Digital printing can be done on many other substrates as well. Superchrome can deliver both stretched and unstretched photographic canvas prints. The client can choose from a variety of canvas. Stretched photographic canvas prints are stretched on to a wooden frame and can be directly hung on a wall. Our unstretched canvas prints always come with sufficient border to enable you to frame it later on. We offer a turnaround time of just two to three days to deliver your products. Besides photographic canvas prints we also offer abstract canvas prints, art prints and Giclee prints. All unstretched canvas prints will be dispatched in a secure tube made of card board, while stretched canvas prints will come in bubble wraps either by courier or by Royal Mail. All our photographic canvas prints are very competitively priced. Feel free to call us for more information. If you would like to know more about our photographic canvas print service, any of the projects shown or if you want to discuss any project you have coming up then contact us 020 7237 9333 or fax 020 7237 9444 or email sales@superchrome.co.uk. Our experienced personnel would be able to guide you appropriately.